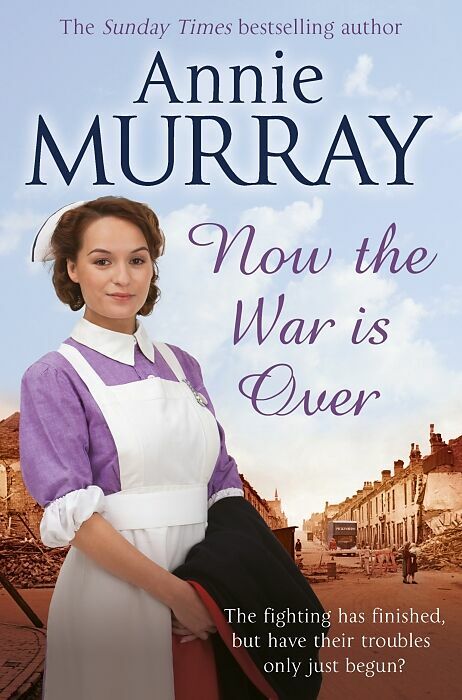 A heartfelt post-war saga from the bestselling author of War Babies. Annie Murray was born in Berkshire and read English at St John's College, Oxford. Her first 'Birmingham' novel, Birmingham Rose, hit The Times bestseller list when it was published in 1995. She has subsequently written many other successful novels, including A Hopscotch Summer, Soldier Girl and the bestselling novels Chocolate Girls and War Babies. Now The War Is Over is Annie's twentieth book. Annie has four children and lives near Reading. Birmingham is welcoming home its menfolk, and a new chapter is beginning in Rachel Booker's life. Her family is reunited, and life settles into a routine - but Rachel yearns for more. Melly, Rachel's eldest daughter, is a child of the war. She grew up in the bombed-out streets of Birmingham, and has never known anything other than supporting her family. But times are changing and Melly now has a fresh future ahead of her - she's determined to fulfil her dream of becoming a nurse. As the promise of the 1950s dawns, a new world of opportunity opens up to Rachel and Melly - but with this come new challenges. They will each have to decide where their loyalties remain . . . Will it be with the family and friends they clung to throughout the war, or is it time to move on?